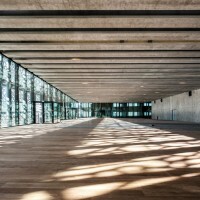 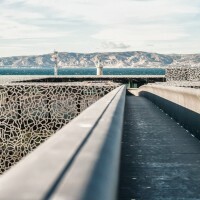 French concrete manufacturer Lafarge, have sent us some images of the Museum of European and Mediterranean Civilizations (MuCEM) located in Marseille, France and designed by architect Rudy Ricciotti. 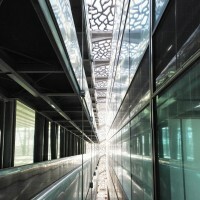 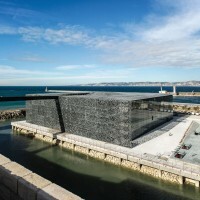 With the inauguration of the MuCEM by the French President François Hollande followed by the public opening on June 7, a 10-year architectural and technical epic comes to an end with a spectacular epilogue. 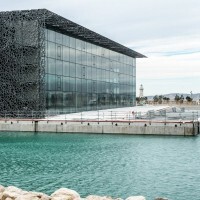 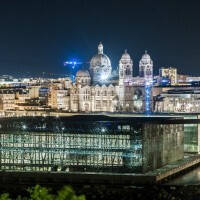 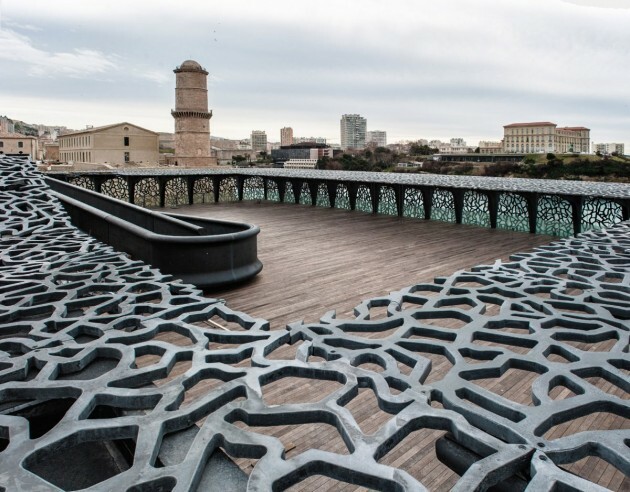 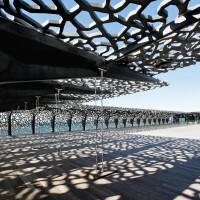 For this first museum worldwide dedicated to the Mediterranean cultures, laying on the waterfronts of Marseille, at the Old Port entrance, on the former port jetty J4, the architect Rudy Ricciotti designed an exceptional building open on the sea, and able to install a dialogue between the two shores of the Mediterranean sea and open a new horizon for Marseille inhabitants. 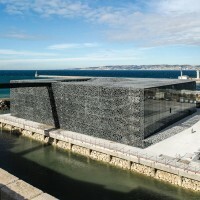 For the MuCEM, I wanted a place for a stroll and a place of culture, a popular museum offering a different trip through the Mediterranean Sea. 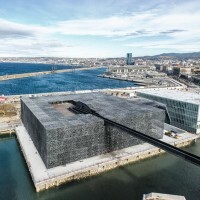 A 15,000m² mineral cube where concrete is king and gives all its strength and lightness to the building. 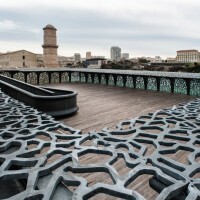 A creation where Rudy Ricciotti pushed concrete to its limits: Nothing in this work is purely decorative. 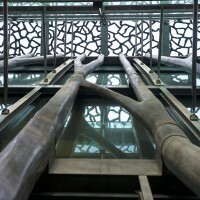 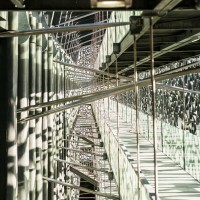 Everything is structural, just like a fish skeleton. 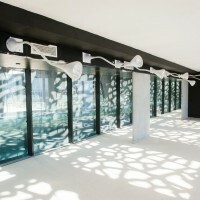 We progress towards a dematerialization of the concrete structure which becomes delicate, long and thin, energetic like a coral rock.